Following a spate of lethal crashes involving young drivers, the Chairman of the PCA, Harold Scruby, today called on all state and territory Roads and Transport Ministers to introduce legislation which will significantly reduce this horrific and avoidable trauma. “The statistics speak for themselves. 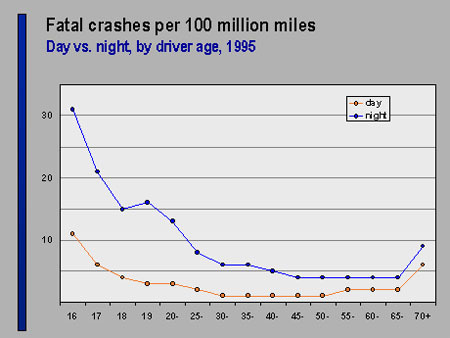 These horrific crashes occur mainly due to inexperience and peer-group pressure. And they happen at night. Many, probably most of these crashes could be avoided through the urgent introduction of this legislation. “Apart from the pain, grief and suffering, road trauma costs the Australian community more than $6 billion dollars per annum and these crashes involving young drivers, represent a significant part of these costs.” Mr Scruby added. 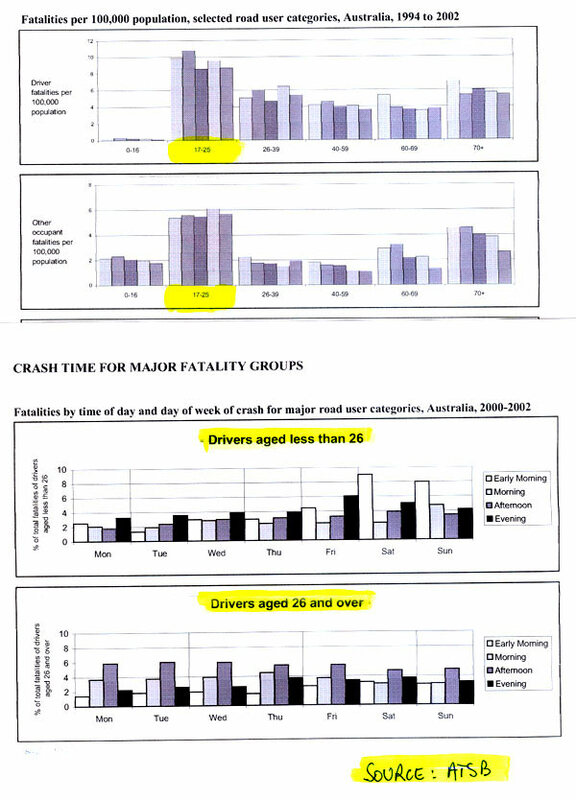 NOTE: This graph was part a presentation in Sydney on Monday 28 June 2004, by Dr Allan Williams of the (US) Insurance Institute for Highway Safety entitled "Graduated Licensing in the United States". The seminar was conducted by the George Institute and the Australasian College of Road Safety. Results of a study into Graduated Driver Licensing in New Zealand by Dr Dorothy Begg, senior research fellow in the Injury Prevention Research Unit, University of Otago NZ.